Cryptocurrencies have been around for quite some time now, yet we still have to hear about a successful commercial application of this new technology. Although the speculation around these digital assets has popularized them all over the world, companies are still looking for ways to employ the technology in their business operations. At first, it seemed like the Initial Coin Offerings would do the job of establishing the blockchain technology as many projects were being launched daily. Unfortunately, some of them turned out to be deceitful schemes, while others simply failed to attract interest or customers. As a result, the technology behind the cryptocurrencies still hasn’t found many useful or popular business applications. This might change with Ripple launching a new product that will focus on commercial applications of its technology. 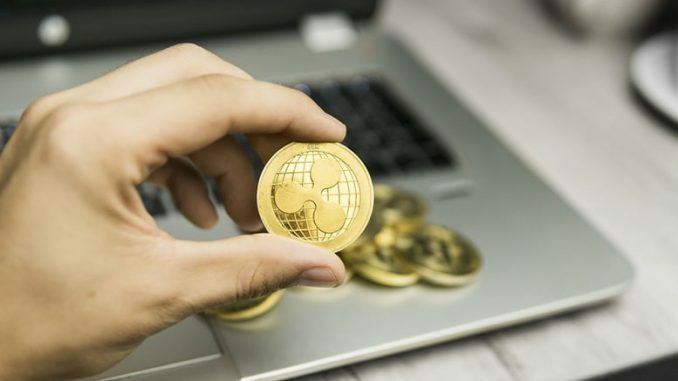 Sagar Sarbhai, who is the head of regulatory relations for Asia-Pacific and the Middle East at Ripple, discussed the company’s new project called xRapid. The new product will facilitate transactions for banks. The blockchain technology has long been touted as a superior means to transact. The technology is much faster and more efficient than currently used ways to keep track of data. Using blockchain there is also a higher level of security as the information isn’t stored on any single database but instead, as many different versions of the same ledger. “I am very confident that in the next one month or so you will see some good news coming in where we launch the product live in production,” – Sarbhai said during an interview with CNBC. The specific way in which the new product will facilitate transactions is by using the native cryptocurrency XRP as a bridge between two currencies. This will allow cross-border transactions to go through faster and more smoothly. This means that a bank wishing to send a local currency into another country will have to first convert the currency into XRP, send it abroad and convert it to the desired currency at the destination. It is much easier to transact with cryptocurrencies across the borders because of the advantages offered by the blockchain technology. First of all, the system is trustless, meaning there is no need for intermediary banks to validate the transactions. Furthermore, it is a lot faster to transact using the blockchain technology and there is no need to have pre-funded accounts when converting one currency into another. Currently, banks use a product developed by Ripple that also facilitates transactions. The product is called xCurrent and it helps the banks settle transactions by allowing them to send each other messages using the system. According to Ripple, currently, there are about 120 banks involved in the product. Banks still have to show interest in xRapid, but Ripple has struck deals with many large financial institutions like American Express, Western Union and Santander. Brad Garlinghouse, the CEO of Ripple commented that the company expects to have several dozen banks using the xRapid product by the end of 2019. When discussing the cryptocurrencies, the popular opinion recently has been that these digital assets are speculative, carry a lot of risk and exhibit the volatility that should make them unattractive for investors who are seeking security and instead, should attract those who are willing to take large risks for the possibility of extremely large gains. While cryptocurrencies can’t boast of being held in high esteem, the technology behind them is usually praised as that of the future. Blockchain has even been compared to the internet with its transformative power. This was reflected in the approach many legislators took with the new technology. Many territories started to regulate cryptocurrencies very tightly, some even banning them altogether. On the other hand, blockchain technologies were fostered and even tested by central banks and other state organizations for their uses. Sagar Sarbhai had comments on this issue as well. “A couple of years ago the narrative was: blockchain good, crypto bad. What we’re now seeing is more and more regulators, policymakers taking the whole space in one conjunction,” he said during the interview. “So, I think that narrative thankfully is now changing because policymakers, regulators are seeing that there is a strong benefit that digital assets, cryptocurrencies bring in,” – he added.